Bushings are an integral part of skateboarding. The bushings in your trucks are also the Shock absorbers of your skateboard and take quite a beating- even under the average rider. So, Bushings Really are one of THE most important components of your skateboard. The right Bushing Combo can make or break a riders' performance. Bushings come in many different colors, shapes, sizes and durometers. 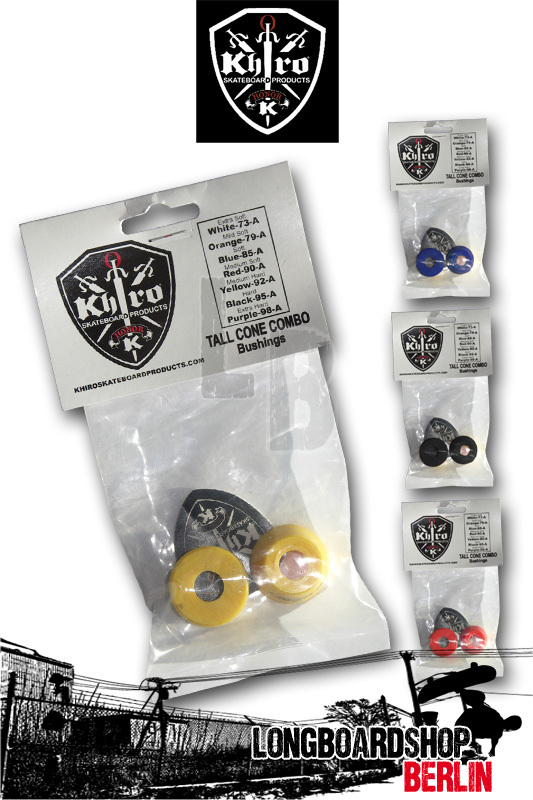 At Khiro Skateboard Products we have developed an extensive product line of bushings using only the most highly advanced compounding techniques combined with the best possible materials to produce the most advanced and largest selection of bushings in the World- Period.